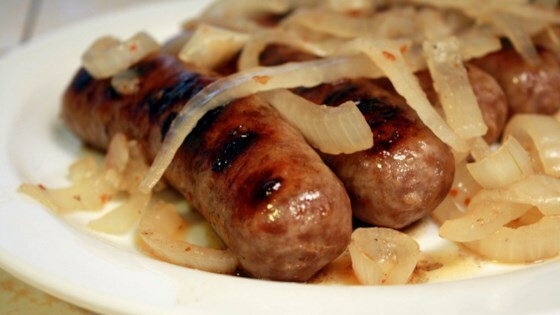 "These awesome beer brats are boiled and then put on the grill!" We loved these. Bought store brand brats, boiled in beer and grilled until nice, dark grill marks appeared. Served with corn on the cob. Perfect summer meal!